We had a lovely All School Assembly this morning, celebrating the sporting achievements, effort and perseverance of all our pupils. Please join us all in congratulating our PE Stars of the Week (see below). Heather So (1A), Eric Chee (1B), Noah Reid (1C), Kristen Knowles (1D), Mayu Okaguchi (1E), Sophia Xu (2A), May Baxter (2B), Antje Singson (2C), Elijah Wong (2D), Tawfiq Kamhawi (2E), Rylan Holt (3A), Charis Chor (3B), Delon Chan (3C), Nicole Hao (3D), Alisha Beigi (4A), Abbie Yiu (4B), Emma Standing (4C), Aaron Hallworth (5A), Zan Thompson (5B), Johnny Hong (5C), Simone Skovgaard (6A), Nina Finch (6B), Esther Cheung (7A), Samantha Chau (7B). It was also an opportunity for Mr Bishop to talk to all the children again about our House Points system and values. I hope you all get to see the four large plastic tubes (Balmoral, Caernarfon, Sandringham & Windsor) in the Reception stairwell which have just received their first House Point tokens. Tokens are awarded for a range of behaviours, achievements and attitudes over the year, and we look forward to watching them fill up with coloured House tokens. Finally, Mr Bishop had the whole school buzzing when he revealed our MONSTER House Cup, a giant trophy to which the children in all Houses can strive over the coming three terms! I’ll be putting some photos on the website, Facebook and the Class Blogs early next week, so please keep checking. Next week we will be celebrating achievement and effort in Science. We look forward to updating you then. The scaffolding is coming down! It is so lovely to finally see the shape of the interior courtyard revealed. The soft surface under the Panda Playground will go down next. Fingers crossed that the rain stays away. As we mentioned in our last Parent Update, we had an excellent turn out to our first PTA meeting on 30 October. Mr Cooklin has asked me to share the Minutes of this meeting with you all. The first PTA Committee Meeting will take place on 12 November at for Committee members only. We look forward to updating you further as the PTA develops. 13 November: "How to read with your child" (targetting Years 3-6) led by Mr Tom Ferguson. It’s been lovely watching the children coming in their winter uniform as the cooler weather sets in. We do like our pupils to take a real pride in their school uniform, so please could you encourage the girls to wear black tights, and our NAIS hoodie or fleece top. NAIS backpacks are also mandatory for all Primary school children. For our Year 7s, we would like to see them all proudly wearing their school blazers from Monday 17 November. Of course, you’re also welcome to wear them now. We’ve had such a strong demand for additional places in our school that, last week, the Senior Leadership Team decided to open an extra Year 4 class from 5 January 2015. I’m sure that you’ll agree that it’s a real endorsement of the popularity of our school, and we wanted to thank you all for being such excellent Parent Advocates for NAIS. We all know that ‘word-of-mouth’ is so important in Hong Kong! This will bring us to four classes in both years 3 and 4. This week was our first full week of activities and the children have, for the main part, fitted easily into the new routines of going to their ECAs and then onto our six late buses. For those of you on the Hong Kong Island routes, you’ll know that we’re still experiencing some delays, but it is gradually improving. We’ll be sharing photos from a selection of ECAs early next week. Next week Robyn Dowding and Scott McKinnon will both be attending Nord Anglia training courses, so their ECAs on Thursday will be cancelled (Chess Club at lunchtime and after school) and Hockey (after school). 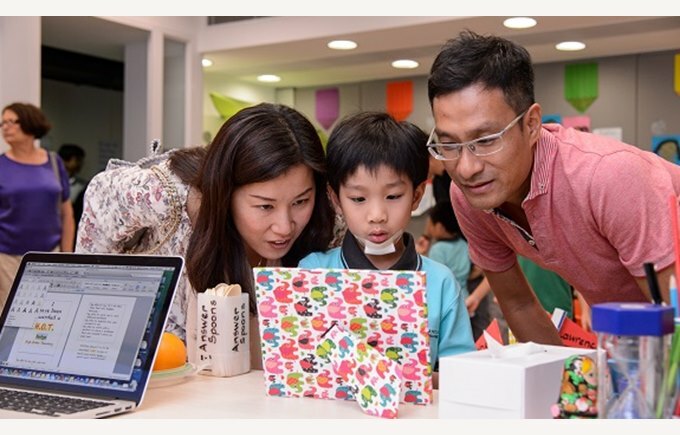 If you’re children are taking part in these ECAs, could you please email: contactus@nais.hk to let us know how your children will get home on Thursday (regular bus or pick-up). Please enjoy the cooler weather this weekend, and we look forward to seeing you all on Monday.